The 2018 Galena Girls Golf team is pictured above. 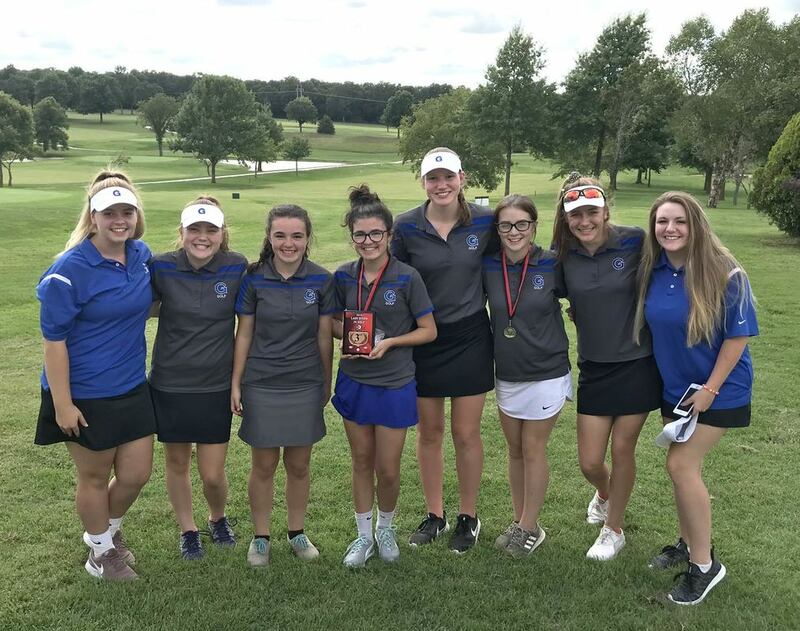 On Wednesday, September 12, the Galena Lady Bear Golf program competed at the Buffalo Lady Bison Invitational at the Karen Kjar Memorial Golf Course in Buffalo. The Lady Bears finished 3rd out of 15 schools participating. The Lady Bears were led by Junior Becca Baker who finished 7th overall with a score of 102. Baker was joined on the medal stand by Junior Madeline Scott who finished 12th overall with a score of 110. The Lady Bears scoring was rounded out by Sophomores Lexi Miller and Chalice Sherer who completed the course with scores of 117 and 132 respectively. The Lady Bears also competed in a tri-meet with Clever and Purdy at Indian Tree Golf Course on Friday, September 14th. The Lady Bears took the overall team prize with a combined score of 254. The Lady Bears were once again led by Juniors Becca Baker and Madeline Scott who carded scores 54 and 55 respectively. Shelby Haskins from Purdy was the overall winner of the meet with a score of 50. The Lady Bears most recently competed in the Strafford Invitational on Monday, September 17.